summer league | Bring Your "A" Game Sports Talk! The Bulls ended their summer league schedule Saturday night in Las Vegas with a 91-84 quarterfinals loss to the Phoenix Suns. The Bulls finished 3-3. Neither Doug McDermott nor Cameron Bairstow played in the finale. The former college player of the year, had a sore foot and Bairstow wore a walking boot to protect a sore left ankle. McDermott was named to the All-NBA Summer League first team, along with Joining the Spurs’ Kyle Anderson (MVP), Pelicans’ Seth Curry, Raptors’ Norman Powell and the Suns’ T.J. Warren. McDermott led the Bulls with 18.8 points per game while shooting 48.8 percent. But McDermott shot a dismal 12.5 percent from 3-point range. 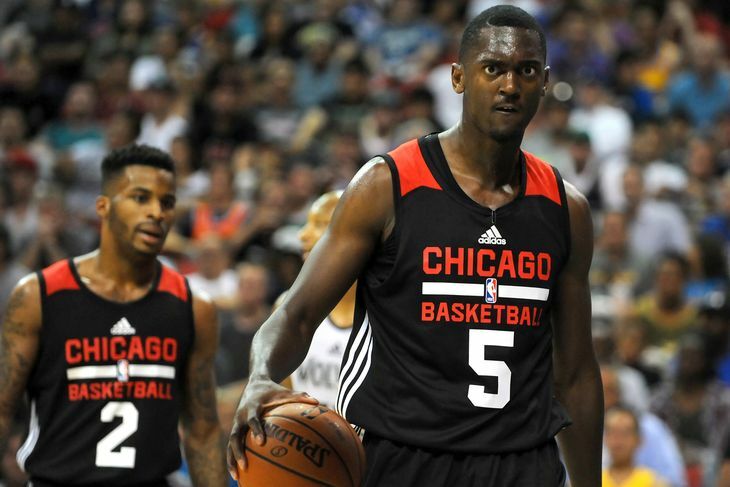 First-round pick Bobby Portis averaged 14.5 points with a team-high 8.7 rebounds. He posted 25 points and 15 rebounds in the finale. The Chicago Bulls destroyed the Cleveland Cavaliers, 91-73, in the first round of the Summer League Tournament. The Bulls will go on to second round to play the Boston Celtics on Thursday. The Cavaliers are now done in the tournament. For the Bulls, Doug McDermott put in 16 points on 8 of 16 from the field and gathered five rebounds. Bobby Portis posted a double-double with 16 points on 7 of 13 from the field and grabbed 10 rebounds. Portis was the 22nd pick in this year’s draft and played two seasons at Arkansas. 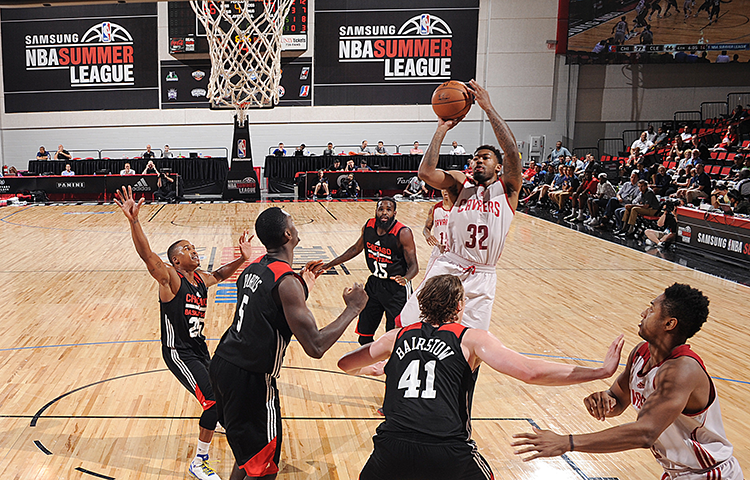 Vander Blue finished with 16 points on 5 of 13 from the field to go along with eight rebounds and three assists. Vander Blue played three seasons at Marquette University and was undrafted in 2013.Blue has spent time in the D-League and has played in five career NBA games for the Boston Celtics and Los Angeles Lakers during the past two seasons. Tyrus McGee added 14 points, dished out three assists, and buried four three-pointers for the Bulls off the bench. Ramon Galloway put up nine points on 3 of 4 from the field, gave out four assists, and snatched four rebounds. Chicago shot 48.6 percent from the field, and were 50 percent on 8 of 16 from three-point range. The Bulls held the Cavs to 73 points on 40 percent from the field and only 20 percent on 4 of 20 from three-point range. The Bulls were able to hold their lead on Cleveland for most of the game.For the Cavs, D.J. Seeley led the way with 16 points on 6 of 14 from the field, including three assists. Seeley was undrafted in 2013 out of Cal State Fullerton, and for the past two seasons, he has played overseas and played in D-League for the Delaware 87ers. Quinn Cook put in 10 points, collected four rebounds, and handed out three assists. Cook was undrafted this year and played four years at Duke University. He led the Duke Blue Devils to win the 2015 NCAA Championship. Deeley and Cook were the only two players to score in double figures. Keifer Skyes added nine points on 4 of 6 from the field and picked up four rebounds off the bench. Skyes was undrafted this year and played four years at the University of Wiscosin-Green Bay. Tyler Haws scored nine points and plucked three rebounds off the bench. Haws was undrafted this year and played college four years at BYU. The Cavaliers simply had an off game, and their aforementioned 40 percent shooting from the field and 20 percent from long range were good indiatons of that. They also shot just 56.5 percent on 13 of 23 from the free-throw line. Cleveland allowed Chicago to score 91 points on 48.6 percent from the field. Additionally, the Cavaliers had merely 10 assists as a team. 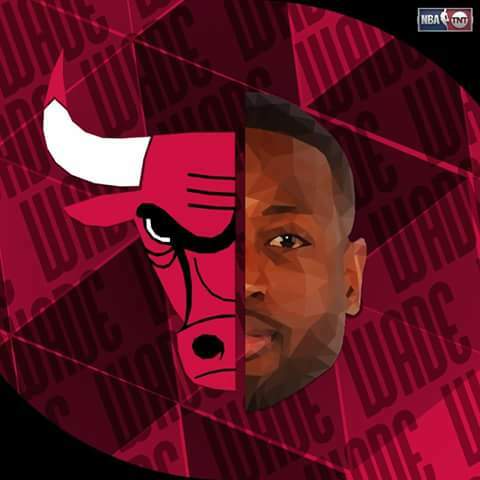 #SEERED!